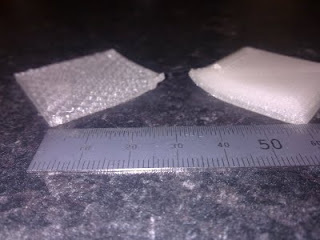 I've recently been trying to print PLA. 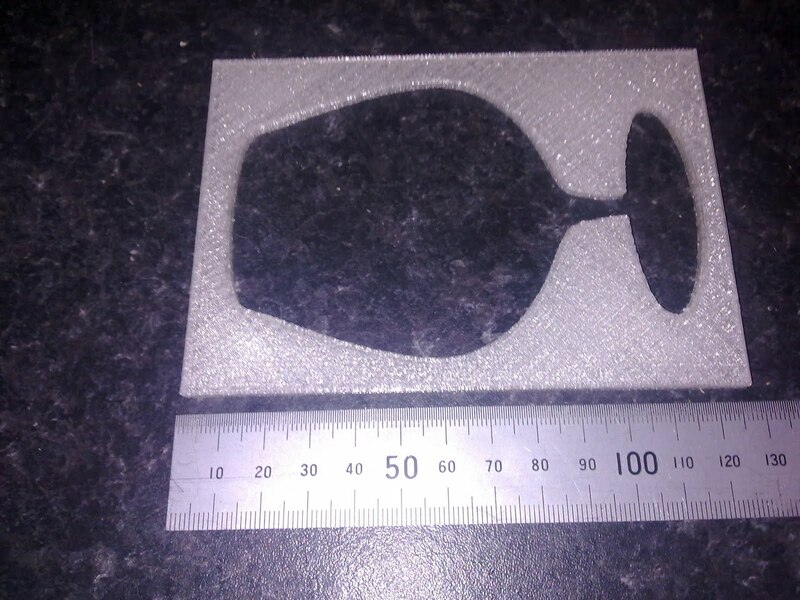 A hard, transparent plastic that nophead has used to print parts for me in the past to diffuse light from LEDs. When I started with ABS, to save time, I bought a pre built wade extruder from Wolfgang and this has served me well. However, I've heard on the grapevine that this design needs to be thoroughly cleaned with acetone before it can be used for PLA if it has previously printed ABS. Being lazy I simply ordered a second extruder. Wolfgang's parts are top notch. I have a lathe and could make extruder parts myself but for the price he charges I can't be bothered. I initially tried printing a 10x10x10mm cube. This came out OK but sagged in the middle. 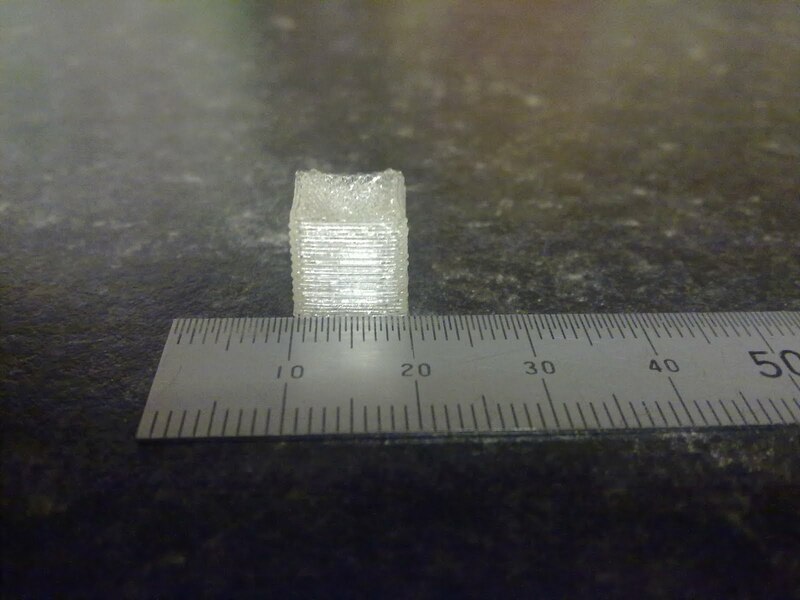 The reason for this was that I had created the gcode previously for a 0.4mm layer height, and my new extruder has a 0.35mm nozzle. 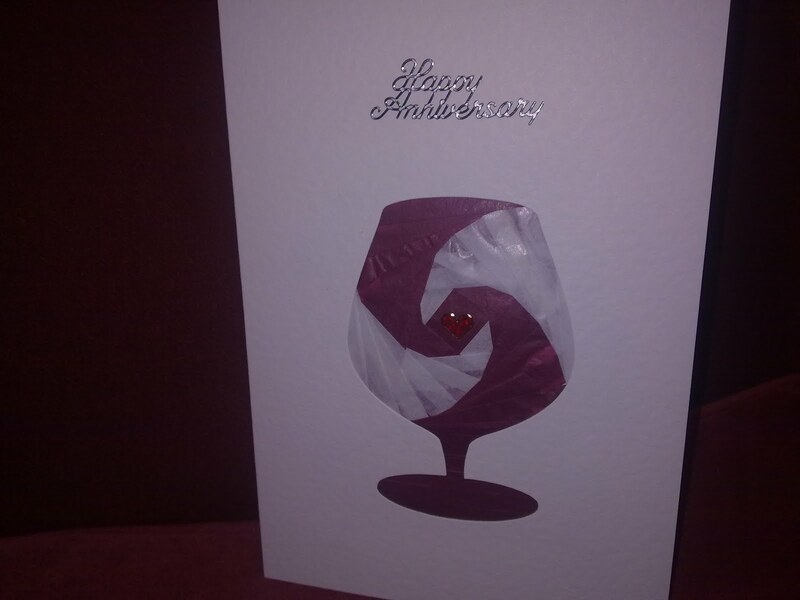 She asked me if I could print a template to allow her to cut the card herself. 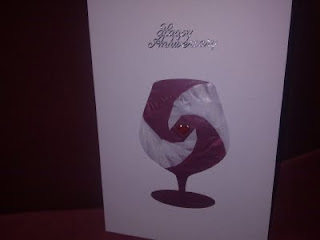 To do this, I photographed the card, then used GIMP to convert the wine glass shape to be pure black. I then imported this image into AlgoLab Photo Vector and converted the image to a DXF file.